High accuracy is increasingly demanded in the pursuit of reliability in the field of electronics. “Liquid-to-liquid” type thermal shock testing is now attracting attention for its ability to impose higher thermal stress on specimens than “air-to-air” type testing, and to deliver test results quickly. 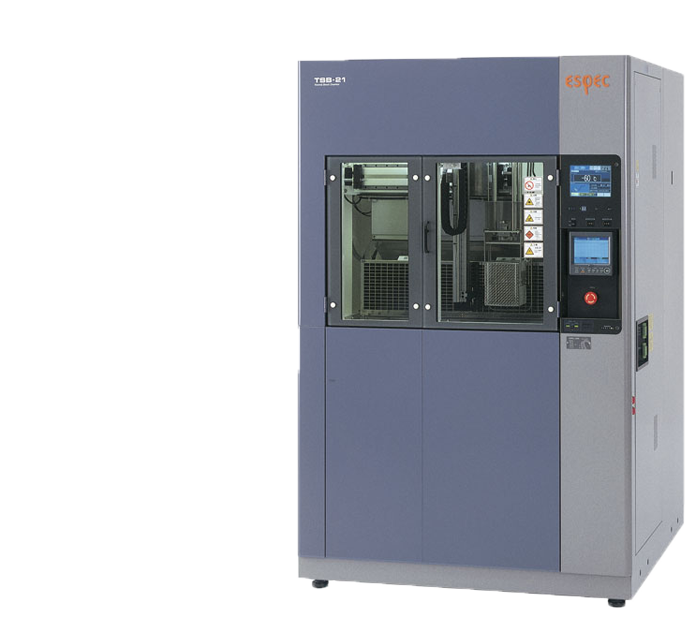 ESPEC has successfully developed next-generation liquid-to-liquid thermal shock chambers that satisfy the demand for environmental conservation and lower running costs from brine and power consumption, which have traditionally been regarded as stumbling blocks with liquid-to-liquid thermal shock chambers. ESPEC takes great pride in offering this cutting-edge chamber as a key technology in ensuring higher reliability.